In the summer of 1993, Devica Bhairo opened her first Diva Lingerie store in Grant Park, Winnipeg. The St. Vital store opened in October 2015, and we have now expanded to British Columbia. The newest Diva store opened September 2018 at 2596 Granville and 10th, in one of Vancouver’s fashion districts, South Granville. For over 25 years Diva Lingerie has become Manitoba’s go-to for luxury lingerie and swimwear and has now brought their expertise in luxury undergarments to Vancouver. We recently opened our Diva store on South Granville! Our Vancouver team is led by Monica Egea. Monica brings her 15 years of experience in professional fitting and her certification in after-surgery fitting, along with the rest of the team, Mercy Cheung and Valery Dayrit, to our new establishment. Find them on West 10th in South Granville, inside the Edward Chapman Woman flagship on South Granville. Our teams in Grant Park and St. Vital strive to help women to feel confident and beautiful in their own skin. 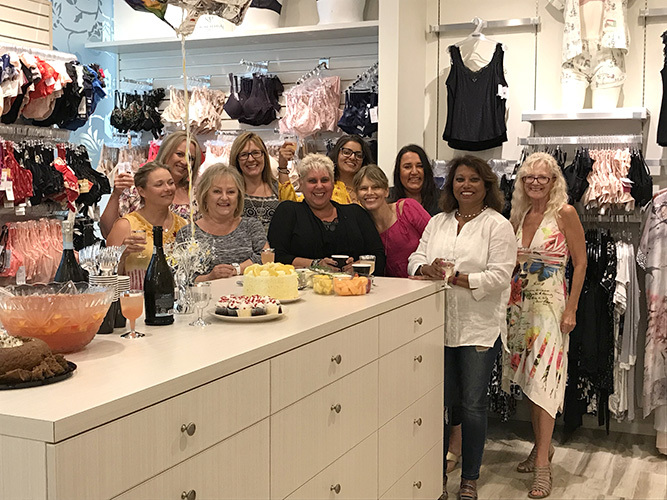 Interacting with all of our customers from different generations brings us great joy as we help them find the perfect bra style and right fit for their body. Come and meet us and we can help you feel good, supported and fabulous – in our Diva way.